The new Plan to cut down hundreds of thousands of trees in the East Bay hills of the San Francisco Bay Area is as bad as the previous one. (See: East Bay Trees to be Destroyed.) Trees fight climate change, and removing these trees will negative environmental impacts. It will also increase fire hazard. Ten years after UC Berkeley, City of Oakland, and East Bay Regional Park District applied for FEMA grants to fund the destruction of hundreds of thousands of non-native trees on 1,000 acres of public open space, FEMA announced its final decision on Thursday, March 5, 2015. FEMA’s announcement of that final decision, which was sent to those who commented on the draft plans, implied that the projects had been revised to be less destructive. In fact, those who take the time to read the final version of the plans will learn that the original plans are fundamentally unchanged in the final version. East Bay Regional Park District (EBRPD) will destroy about 90% of the trees in its project area, as originally planned. 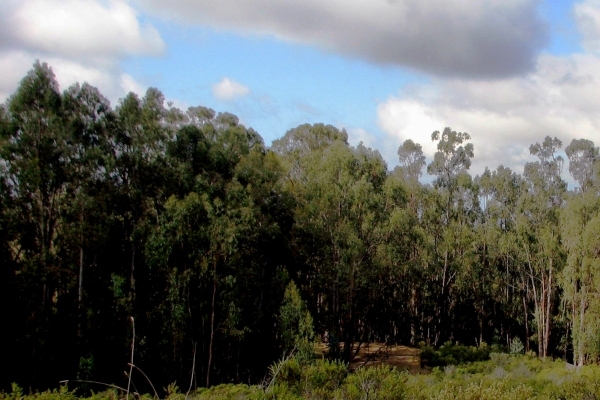 “Thinning” is not an accurate description of EBRPD’s project. UC Berkeley (UCB) and City of Oakland will destroy 100% of all non-native trees on their project properties. On a small portion of UCB and Oakland property (29 of 460 acres), tree removals will be phased over the 10-year project period. In other words, the final version of these projects will destroy as many trees as originally proposed by the grant applicants. 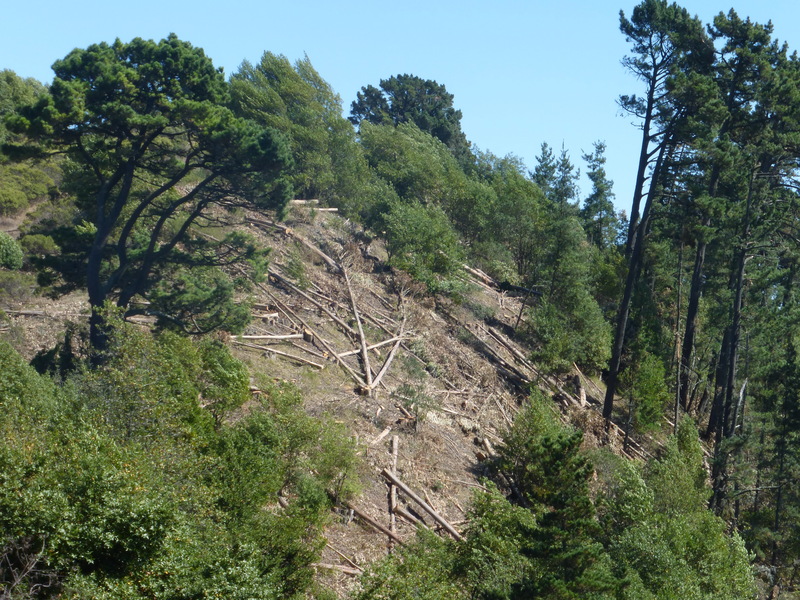 However, FEMA has refused to fund tree removals on Frowning Ridge (185 acres) because UC Berkeley removed hundreds of trees there before the Environmental Impact Statement was complete, in violation of FEMA policy. The Hills Conservation Network is an Oakland, California based 501c3 comprised of residents of the Oakland hills that were directly aﬀected by the 1991 ﬁre. Several members of the group lost their homes in this conﬂagration and have committed themselves to driving change in Oakland to ensure that similar events never happen again. Members of HCN have been involved in the Grand Jury investigation of the ’91 ﬁre and in developing enhanced emergency response capabilities in Oakland. Please direct inquiries to Dan Grassetti at 510-­‐849-­‐2601.